Last October the beer drinkers at the Eastbourne beer festival voted for Bateman’s ‘Autumn Fall’ as their beer of the festival from outside Sussex. 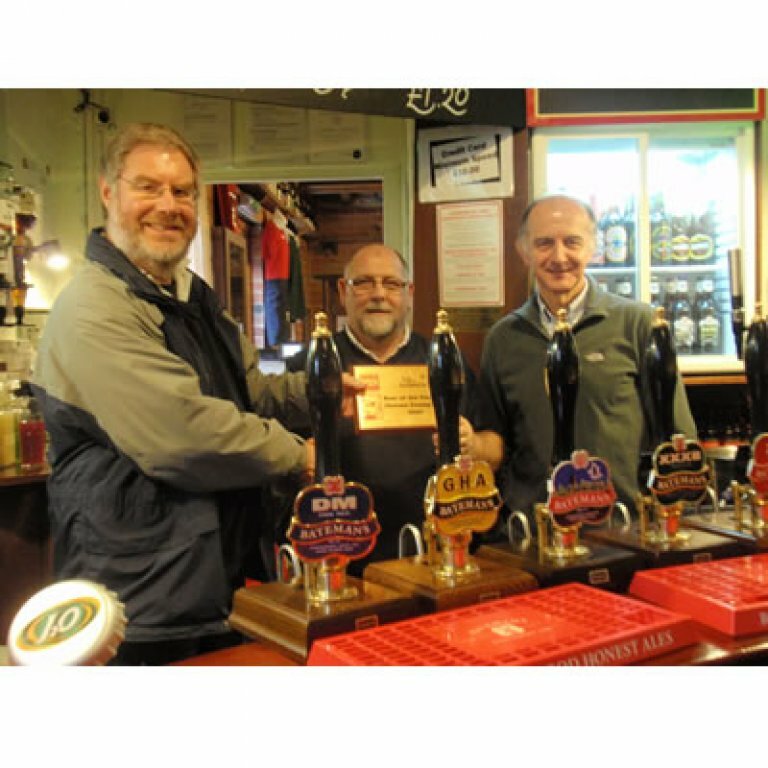 The first weekend of February saw four members of South East Sussex Branch of CAMRA make the train journey to Wainfleet in Lincolnshire to present the trophy in person. Arriving Saturday lunchtime, we went straight to the brewery where we were welcomed by members of Fenland CAMRA including their branch chairman Nigel Woodburn, who is also the Brewery Liaison Officer. After downing some ale in excellent condition, a brewery tour was enjoyed, conducted by a young guide with some excellent ‘throw away lines’. On the beer side, Dark Mild, Salem Porter, XB, XXXB and GHA were all sampled; alas it was the wrong time of year for Autumn Fall. After checking into our accommodation in one of the village Batemans pubs, the Red Lion, we took the train to Boston, the nearest town, where we visited three Good Beer Guide pubs, before returning to the Batemans visitors’ centre for more ale, as the Red Lion had run out. The next morning after a tasty breakfast and a fenland stroll, we had lunch in the visitors’ centre, washed down by yet more Batemans beer, before catching our train back to Sussex. Thanks go to the friendly members of the Fenland CAMRA branch who welcomed us at the brewery and particularly to Nigel for helping with the arrangements. Congratulations to all at the brewery for the award and also thanks to Dave Phillips, Batemans Visitor Centre Manager, who also made us feel very welcome and accepted the award on behalf of Batemans. We certainly left with an enhanced knowledge of some excellent ales.